Cool Under Pressure, Powered by Coolcore. 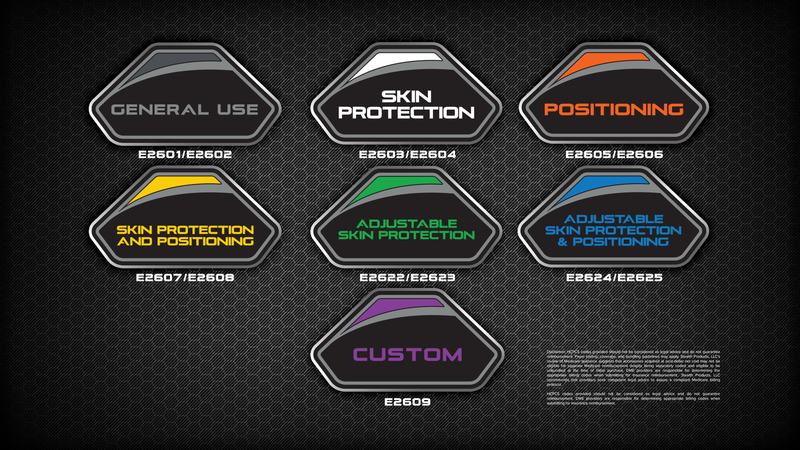 Skin Protection and Positioning Line. Come with easy transport handle. Coolcore is a research proven performance fabric technology that adapts to its environment and regulates temperature by managing heat and moisture. The proprietary construction helps manage and distribute your body heat, and if you work up a sweat, it rapidly cools through regulated evaporation. Whether for the casual or athletic minded Coolcore has the ability to change your personal environment and greatly improve your overall well being. Chemical Free - Normally other brand fabrics use topical chemicals that not only can be harmful to your skin, but after only a few washes, the cooling properties of the product are no longer effective. The Coolcore cooling technology is built into the fabrics fibers, preventing any decline in the performance and keeping its cooling properties for the life of the garment. Coolcore patented technology allows for a controlled evaporative process that keeps you cool, dry and comfortable in any condition. USA Only. HCPCS codes provided should not be considered as legal advice and do not guarantee reimbursement. DME providers are responsible for determining appropriate billing codes when submitting for insurance reimbursement. HCPCS codes provided should not be considered as legal advice and do not guarantee reimbursement. Payer coding, coverage, and bundling guidelines may apply. Stealth Products, LLC's review of Medicare guidance suggests that accessories acquired at zero-dollar net cost may not be eligible for separate Medicare reimbursement despite being separately coded and eligible to be unbundled at the time of initial purchase. DME providers are responsible for determining the appropriate billing codes when submitting for insurance reimbursement.. Stealth Products, LLC recommends that providers seek competent legal advice to assure a compliant Medicare billing protocol. HCPCS codes provided should not be considered as legal advice and do not guarantee reimbursement. DME providers are responsible for determining appropriate billing codes when submitting for insurance reimbursement.